Meeting of the members of the European Union Affairs Committee of the Riigikogu (Parliament of Estonia) with Lord Mayor of the City of London Andrew Parmley and Special Representative for the City to the EU Jeremy Browne focused on the United Kingdom’s leaving the European Union. Chairman of the Committee Toomas Vitsut spoke about the parliamentary events of the Estonian Presidency of the EU Council and gave an overview of Estonia’s priorities during the Presidency. The negotiations on the United Kingdom leaving the European Union were discussed in more detail. 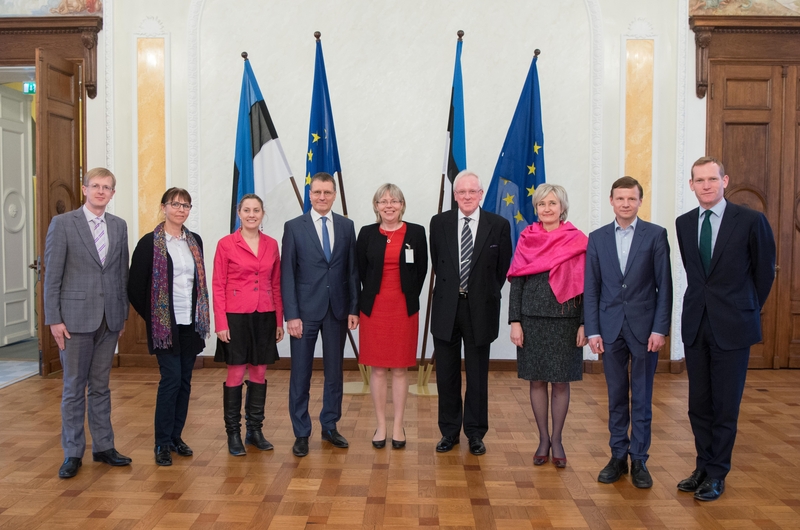 Lord Mayor Parmley thanked Estonia for its readiness to start with the presidency of the Council of the European Union six months earlier due to the UK’s decision to leave the EU. “Although we are leaving the European Union, we are not leaving Europe,” Parmley assured. He said he had come to Tallinn to discuss economic and financial cooperation. 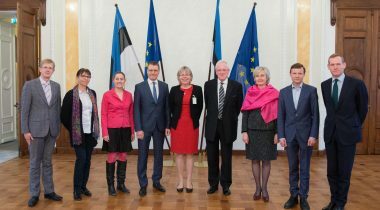 Speaking of the future of the Estonian people living and working in the United Kingdom, the guests assured that it was not in anybody’s interests to hinder the working of talented and clever people in their country. Member of the Committee Marianne Mikko said that the decision of the British people to leave the EU made many people in Estonia sad. Although the Brits are good partners to Estonia and contribute to ensuring the security of the Baltic region, Estonia will keep the exit negotiations separate from the United Kingdom’s contribution through NATO. “As the holder of the Presidency, Estonia has to keep in mind the interests of all 27 Member States, and at the same time treat everyone fairly at the exit negotiations,” Mikko said. Member of the Committee Aivar Sõerd spoke about bilateral economic relations, and said that Estonia was interested in the free market. In his opinion, the financial environment in Estonia is good, but in regard to competitiveness, Tallinn is lagging behind other European capitals because of its transport connections. Members of the European Union Affairs Committee Tiina Kangro, Tiit Terik and Oudekki Loone also attended the meeting. City of London is the business and financial centre of Great Britain. Many major global companies have their headquarters in the City. Although the City has a resident population of less than 10,000, over 300,000 people work there.